We advise thought leaders on ways to build and enhance their attention platforms - by using our ecosystem mapping technology and analytics. We create a thought-leadership blueprint for your passion. Over 20% of the Harvard Business Review bloggers are our clients. The CEO is the brand guardian. We help CEOs build a personal vision and communicate it to employees, customers, VCs, shareholders, analysts, and other ecosystem stakeholders. A critical responsibility for start-up leaders. 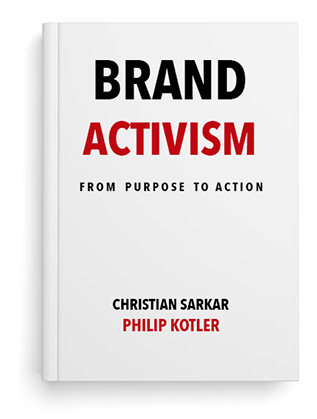 Now, brand activism changes everything. Talk to us about the how and why. Businesses must engage prospects before they buy. The most effective way to do this is by gaining their trust upstream, before they make a decision. Double Loop Marketing™ enables you to build an online community around the interests of your audience. Works for NGOs and academic institutions too. "Christian Sarkar is a master at using online media to generate a strong return on marketing spend. He provides a rare combination of design for usability skills and clear understanding of the economic levers driving marketing performance. His unique approach to Double Loop Marketing™ builds upon the virtual community concepts I outlined in Net Gain. Christian brings proven experience in helping vendors cost-effectively find and convert prospects to customers... and then building in the feedback loops to rapidly improve performance over time." "Christian Sarkar constantly brings brilliance, creativity and a deep sense of integrity to everything we have done together. What more could you ask for?" "Christian Sarkar's unconventional techniques are based on sound marketing principles. Don't be fooled by the apparent simplicity of his techniques; few people know online business as well as this..."
"Christian is a source of great ideas. His enthusiasm is second only to his knowledge about how to get attention in the marketspace. If you need results, hire him ASAP." "Christian's uniqueness lies in his ability to bring fresh perspectives to familiar issues, to quickly identify and analyze emerging issues, and to distill the results into clear, concise observations. I have seen Christian apply these attributes in the broadest range of subjects, from market trends in the chemical industry to employee communications..."
- The Trust Crisis: What Do Leaders Do Now? Launched the Physician Leadership Institute along with a blog for founder Mo Kasti. Redesign of SteelPulse.com - the official website of the legendary reggae band. We serve as their brand and marketing consultant. Christian Sarkar joins Vijay Govindarajan and Javed Matin to examine how companies should consider retail reform in India. 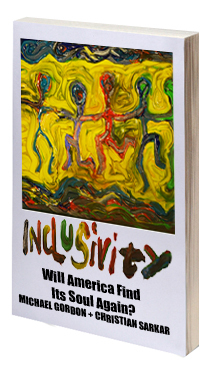 Christian Sarkar co-authors book with University of Michigan's Professor Michael Gordon. 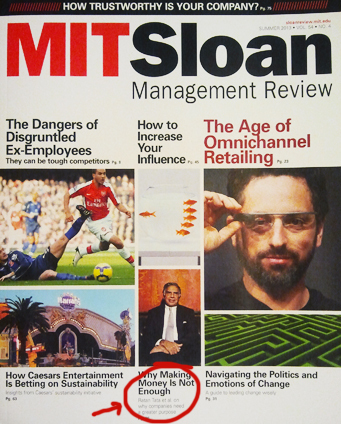 Started an opt-in campaign for Dartmouth Professor Vijay Govindarajan's Quarterly Newsletter on Innovation & Execution. Launched new version of EdgePerspectives.com and Edgerati.com for John Hagel and JSB and the Deloitte Institute for the Edge. Ghostwriting: several blog entries for Harvard Business Review for VG. Online ecosystem assessment of McMann & Ransford's website prior to redesign. The focus: customer intimacy and b-model transformation. Redesign of company website and CEO blog. Initiated and directed a collaborative project (to help Haiti earthquake relief efforts) between the Solar Electric Light Fund and the reggae super-band Steel Pulse. www.holdon4haiti.org >>. The most effective way to get and keep attention is to be a thought-leader in your marketspace - defined by the online ecosystem you compete in. 2. Ecosystem Orchestration: deciding who your customer is; where and how to compete in your target ecosystem; select the ecosystem(s) you will compete in. 3. Ecosystem Attention Platform: design the scope and boundaries of your attention platform. Develop appropriate products, services, experiences. 4. Ecosystem Conversion Strategy: how will you get your message out? What are the best mechanisms for conversion? 5. Ecosystem Value Capture: build a sustainable online business model to find and keep customers; develop ecosystem feedback loops to improve performance. - What’s Your Chatbot Strategy? - Branding Muhammad Ali: What Could Go Wrong? The $300 House article series in Harvard Business Review with Vijay Govindarajan. © Copyright 2014. Double Loop Marketing LLC.